The chief executive of the British Hydropower Association has warned the business rates system in England and Wales is “fundamentally flawed” and “urgently needs attention”. 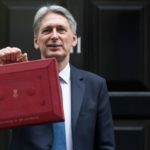 Simon Hamlyn, said many hydro schemes are facing increases of several hundred per cent because of business rate evaluations in England and Wales, and called on the British Treasury to give members “some breathing space” by introducing a cap, similar to the one in place for smaller schemes in Scotland. Hamlyn said one hydro scheme in England will see their business rates rise from £3,000 to £16,000 in April, while another in Wales is facing an increase from £400 to £3,5000. “We are asking for a complete overhaul of the system, to make it more fair to the hydro industry, because the whole system is wrong,” he said. He added hydro operators cannot increase the amount of money they make from their plants, because the Government has frozen electricity prices through the Feed in Tariff. Hamlyn was speaking after his organisation appealed to the Scottish Government to rethink its temporary business rate review, which he said would hit schemes between 1 and 5 MW the hardest. Last month, Holyrood announced a 12.5 per cent limit on business rates increases for schemes up to 1MW until the end of March, 2018. But the association chief executive said, so far, the Scottish Government is not looking to cap increases for small scale hydro schemes between 1 and 5 MW. 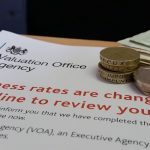 “A number of these schemes will see rates rises of more than 400 per cent – with, for one example, one operator seeing their rates bill soar from £49,000 to £200,000 per year, a leap of over £150,000,” said Hamlyn. Last month, Scottish Renewables claimed smaller hydro, solar and wind schemes faced business rates increases of up to 650 per cent as part of a wider revaluation of the property tax launched by the Holyrood government in December. “We have concerns over the cap to relief for hydro projects at 1MW, given data from our members shows that some schemes slightly larger than this threshold could still be subject to unrealistic hikes in rates bills,” said the association’s policy manager, Hannah Smith.